Children decide if they’d like to run a charity sale and decide on the charity that is being supported. Book a date with the office. One/two team members to ask a family member to come into school to support the event. Alert the office. If a family member cannot help, school will secure a helper wherever possible. Sale posters to be made and displayed one week prior to the event. Can be stuck on glass and hard surfaces in the school (not painted walls please!) Spread the word in assemblies! Collections to be made (e.g. 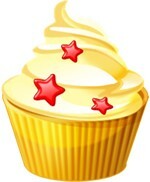 cakes) There are 300 children in school, so divide up the amount between as many people as you can. Ask the class to get involved! Ask the office to send out a text to ask for donations at the beginning of the week! Remember to bring a float! Money must be counted and banked/given to charity by sale organisers. Please ask the adult helper to take the money home on the day of the sale! Children/helpers are responsible for all things left e.g. containers from cakes, unsold articles etc and must ensure they are returned promptly. The area must be cleared and tidied after the sale. Remember to inform the office of the final amount raised for your charity!